When I left Burgundy this July I noticed that they had closed one of our favorite Boulangerie‘s in Beaune (the one that is right around the corner from Le Relais du Vieux Beaune – so close that you can shuffle out in pyjamas for your hot morning pain au chocolat if you fancy) for renovations. I was alarmed. I love this boulangerie and didn’t want anything about it to change. Luckily Michele Thompson sent me the link to this and many other wonderful photos she took while staying at Le Relais du Vieux Beaune to put my mind at ease. Beautiful new pale yellow stucco, pistachio awnings, and even the French man on his bike and a local grandmère that we pay to act as local flavour in the neighbourhood have gone to buy their morning baguettes. This entry was posted in Uncategorized on October 29, 2010 by admin. Striking in The Streets of Dijon! Uploaded by LeBienPublic. – Up-to-the minute news videos. This entry was posted in Uncategorized on October 20, 2010 by admin. While we are just emerging from the most recent crise in the Germain household (in the form of 3 weeks of the bevy sick with the flu) France is going through a major crise of its own. The latest series of strikes was triggered by Sarkozy’s proposal to reform the current retirement age, and they are hum-dingers. I say this tongue in cheek but I know that for our guests in Burgundy it is no laughing matter. Strikes are a fact of life in France, but they are – especially widespread ones like this – a real drag. One of the most pressing issues right now is a gas shortage. 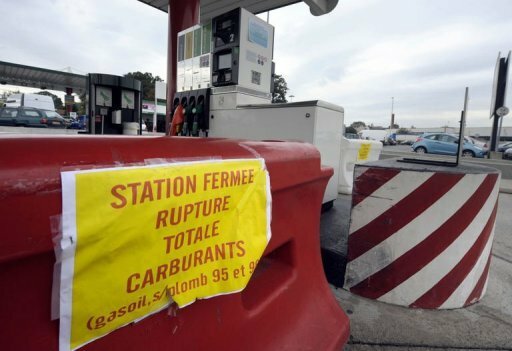 Just click here to see a map of the current gas shortages in France . We have one set of guests who have decided to stick around in Burgundy rather than head down South and get stuck there. I think I would probably do the same in their shoes. We have some of our family and friends in France that are whole-heartedly (with banners) in the street supporting the strikes, whereas other are at home seething that the strike is self-indulgent and unjustified. Travelers to France beware! – it is a hugely divisive issue. This entry was posted in Uncategorized on October 19, 2010 by admin. 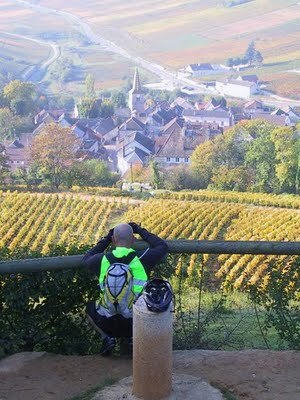 Just a head’s up for those of you who will be in Burgundy on October 23 & 24th. The festival “Les Treteaux d’Automne” will be happening soon. Pernand is one of my very favorite villages in Burgundy. It is stunningly beautiful and I drive up to Magny and Villers that way whenever I can – add in musical concerts in the church, around the village, and in the vineyards combined with wine-tasting some of Charlemagne’s favorite wines and what do you get? Le Paradis! Just click here for more information (in French – if you need me to translate just let me know!). This entry was posted in Uncategorized on October 14, 2010 by admin. “Ouf” is what the French say instead of “whew!” and I am one big visceral “OUF” after our non-Thanksgiving, Thanksgiving weekend. In the balance I guess I should be saying “merci” as well as “ouf”. For all of you who also dream of one day owning a Lacanche or similarly gorgeous range (called “pianos” by the French – the first time a neighbour told me all her new kitchen needed was a “piano” I thought she meant a Steinway, which I thought was rather odd for a tiny 17th century kitchen) you will enjoy this article about one man traveling to the Cote D’Or to pick up his baby. 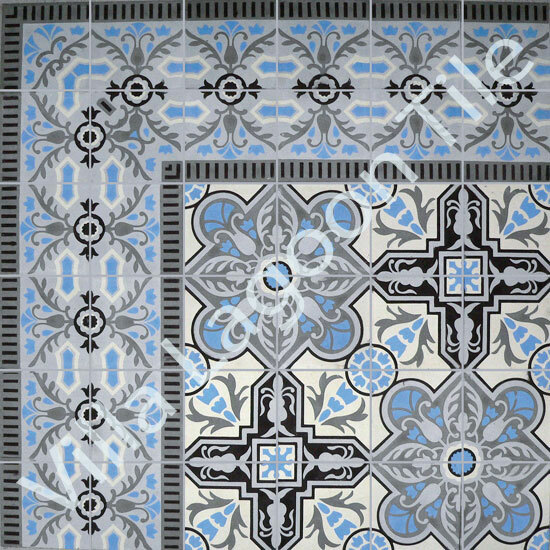 By the way, this is the hand pigmented cement tile I am envisioning in my dream kitchen with my delft blue Lacanche. This entry was posted in Uncategorized on October 8, 2010 by admin. If only I could win the lottery, life (and appliance shopping) would be so much simpler. I would be buying this Burgundian-made gas range from my very own Cote D’Or with absolutely no regrets. 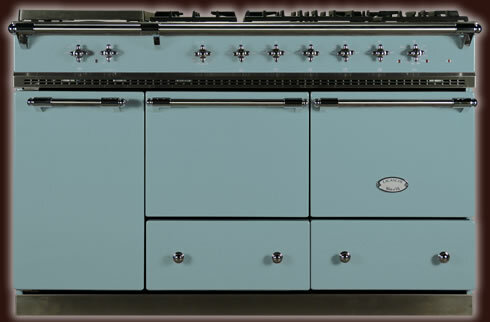 And I’m asking you, why don’t they make gas ranges in this lovely delft blue colour for under $10,000??? To drool some more, just visit LaCanche’s lovely North American website . This entry was posted in Uncategorized on October 6, 2010 by admin. 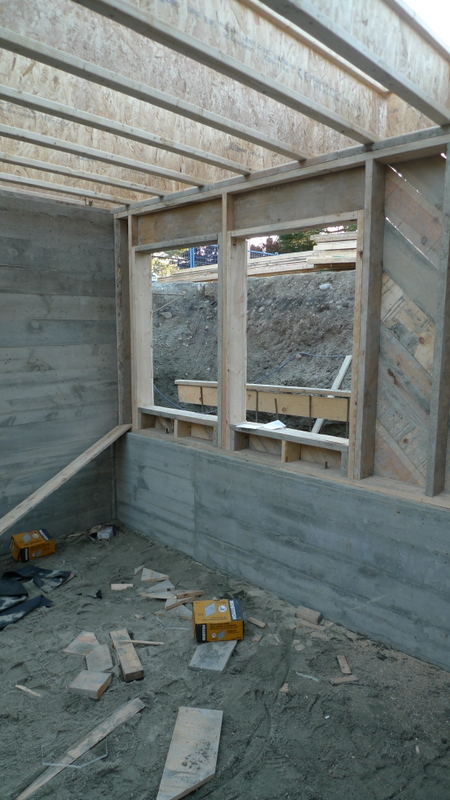 Here is the future bedroom for all our French friends and family to stay in when they come and visit. Okay, okay, maybe not quite enticing enough to book your tickets yet, but just wait – in a few months there will be a floor! And drywall! And windows! And maybe even a ceiling! We may go nuts and put a bed in here too. This entry was posted in Uncategorized on October 2, 2010 by admin. This summer while we were in France one of our projects was to repaint our shutters at La Maison des Deux Clochers. When we repainted them the first time after buying the house in 1998 the mode in Burgundian villages was to stain shutters a hideous dark brown colour. 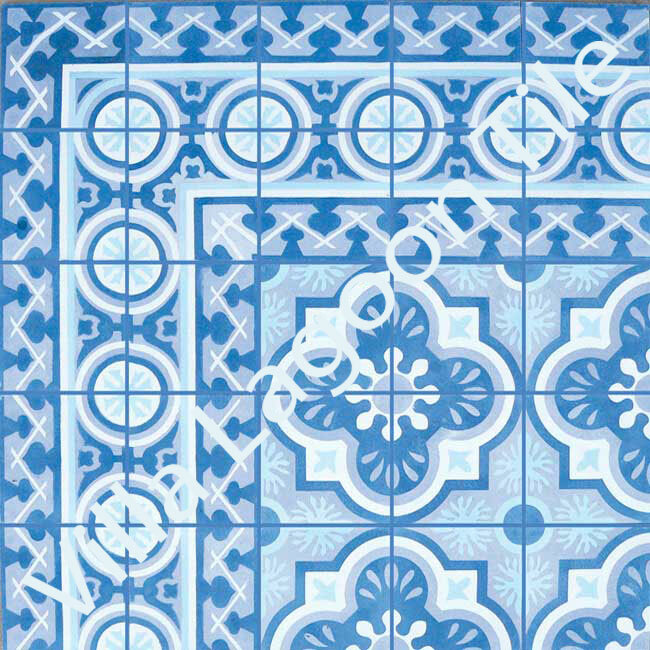 I stomped in like the oblivious foreigner that I was and repainted ours what I thought was a stunning shade of periwinkle. The villagers were shocked and horrified. Franck’s grandmother Meme consoled me by saying that dans le temps shutters in Burgundy were painted every colour of the rainbow. 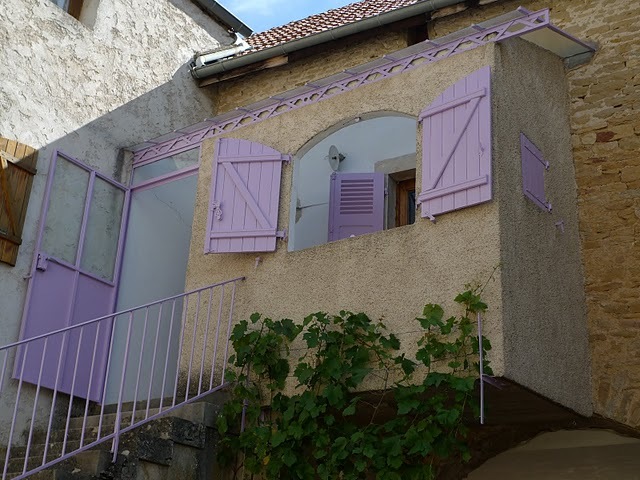 Anyway, in the past ten years the villagers have gotten used to my periwinkle shutters – dare I say from the amount of people painting their shutters a similar shade of periwinkle that they have even grown to like them? So when we repainted our shutters this summer I upped the ante and went with an even more daring shade of lavender. Scandale! We have managed to make waves all over again. But I know that Meme up there on the Mont Saint Victor approves and I’d bet that a few years from now lavender shutters will start popping up around Magny-les-Villers and Villers-la-Faye like crocuses.